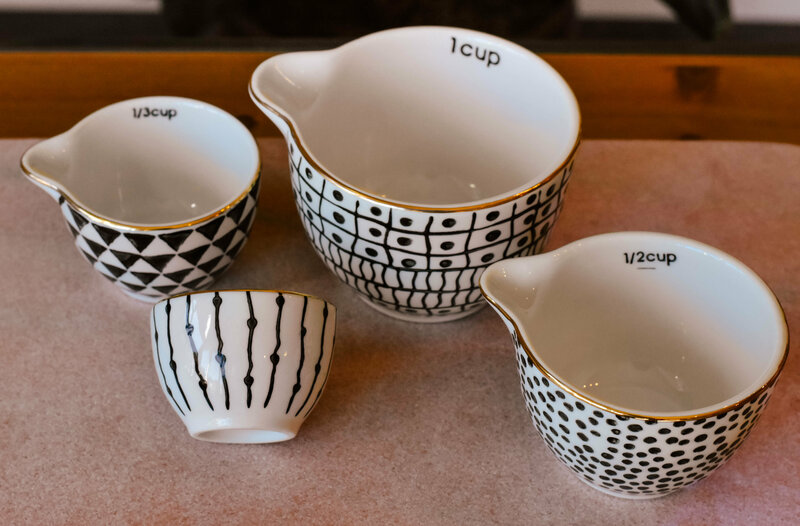 Up your baking game with the cutest measuring cups ever! 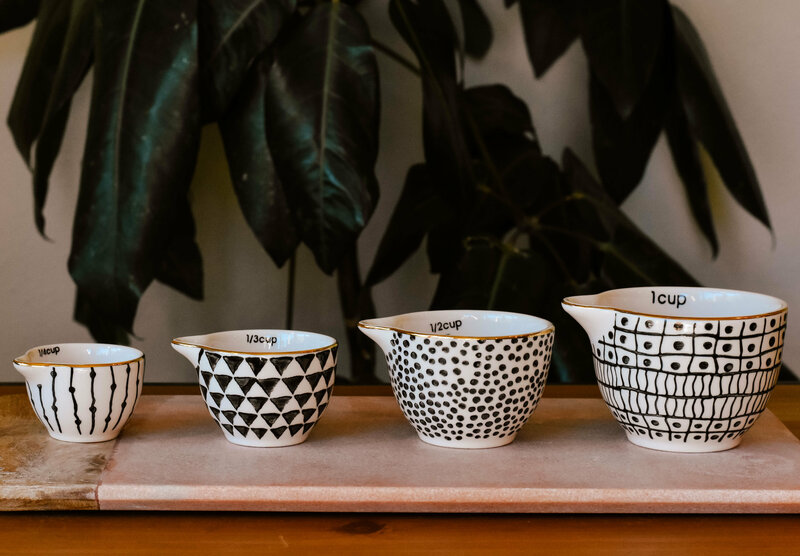 These hand painted, black and white measuring cups bring a modern boho flare to your kitchen. They come in a set of four, each one painted in a different pattern!